Jay grew up in Charleston, South Carolina and graduated from Porter Gaud in 1981. He obtained a Bachelor of Science in Industrial Management from Clemson University in 1985. Jay went on to obtain his Juris Doctorate at the University of South Carolina in 1988. Jay then began his legal career at Clawson and Staubes in September of 1988. Jay is a Certified Mediator in South Carolina. Jay routinely mediates a wide variety of cases, such as as personal injury, premises liability, catastrophic injury, and product liability. Jay has tried countless cases to verdict and uses this extensive trial experience in helping parties to resolve their civil disputes. Jay practices in the area of civil litigation, with a focus on personal injury cases of all types, such as premises liability, trucking, dram shop, and product liability. Jay tries numerous cases each year throughout the State of South Carolina, often achieving favorable verdicts for his clients. Despite being a formidable opponent, attorneys on the opposite side express their enjoyment in working with Jay because of his easygoing nature and sense of fair play. 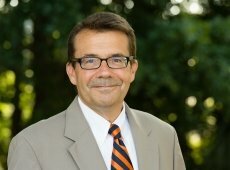 Jay provides instruction and lectures on litigation topics that include: the use of biomechanical experts in auto accident cases; State v. Council/Daubert issues; summary jury trials as an option to alternative dispute resolution; and evidentiary issues. In 2015, Jay was honored to become a member of the American Board of Trial Advocates (ABOTA). He has also been named a Super Lawyer by Super Lawyers Magazine since 2015. Jay resides in Mount Pleasant with his wife Kristen, daughter Susanne, and their dogs Lassie and Buddy. He enjoys exercise and running, and can often be seen at Sullivan's Island on the beach. Jay is also a certified expert in Clemson football.